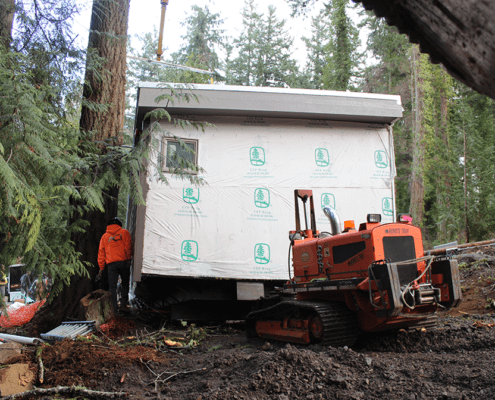 After a very long journey over snowy mountain passes and across an ocean sound, 2atara’s modular home flew through the air and landed in its final resting place Friday afternoon. 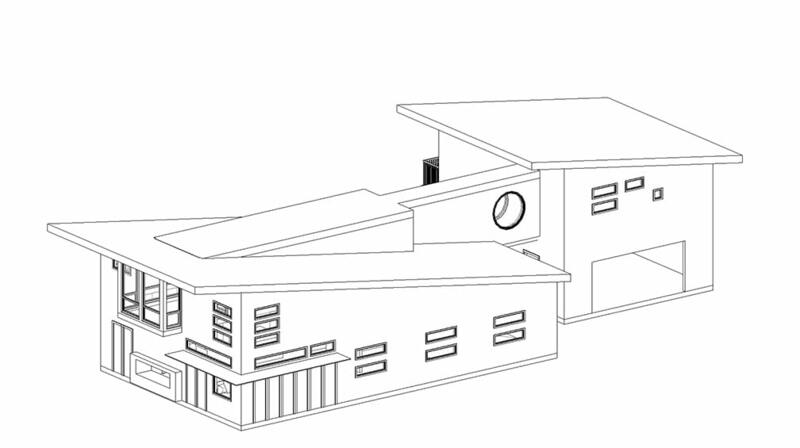 https://2ataradb.com/wp-content/uploads/2013/04/2atara-logo-web.jpg 0 0 2atara https://2ataradb.com/wp-content/uploads/2013/04/2atara-logo-web.jpg 2atara2017-12-27 20:29:282018-05-03 16:32:51Modular Home Excitement Part 3. 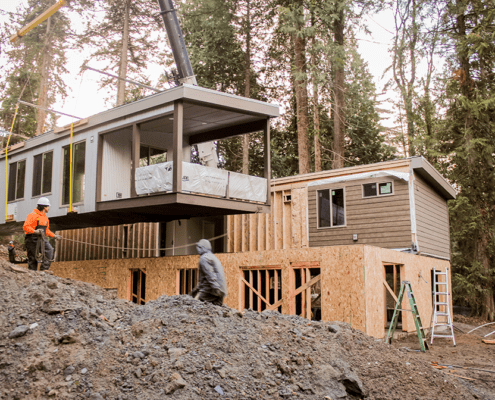 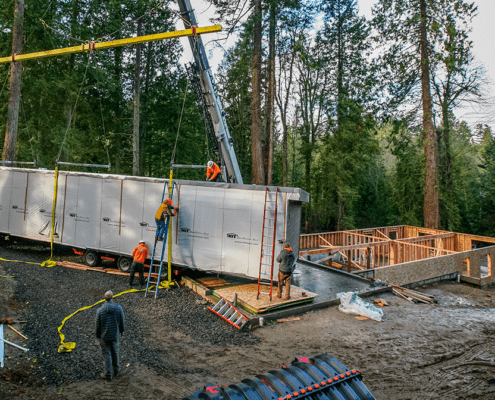 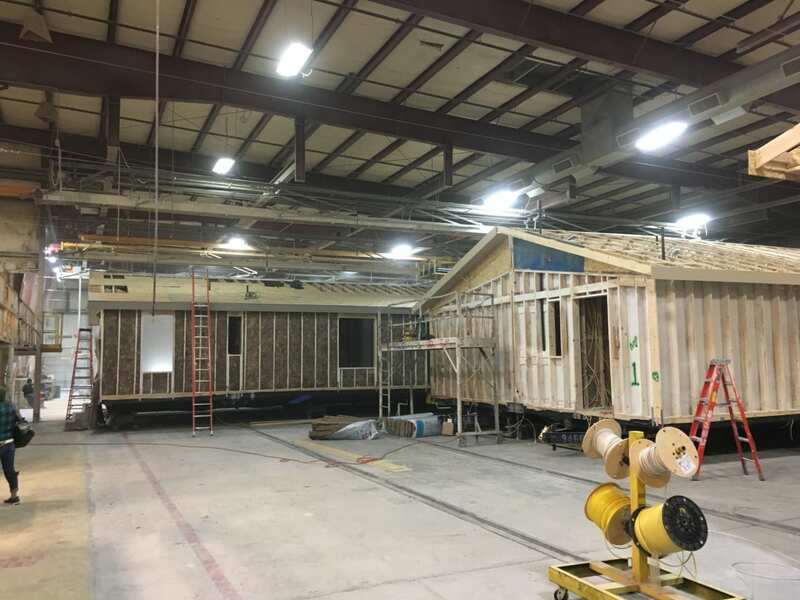 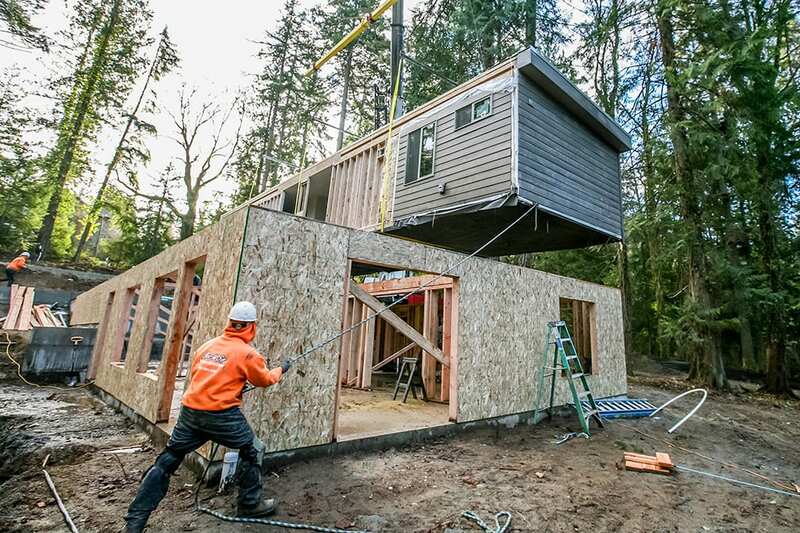 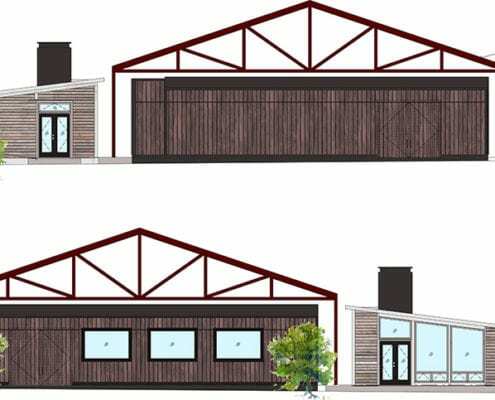 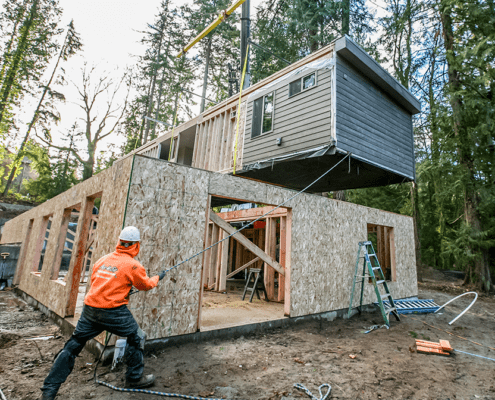 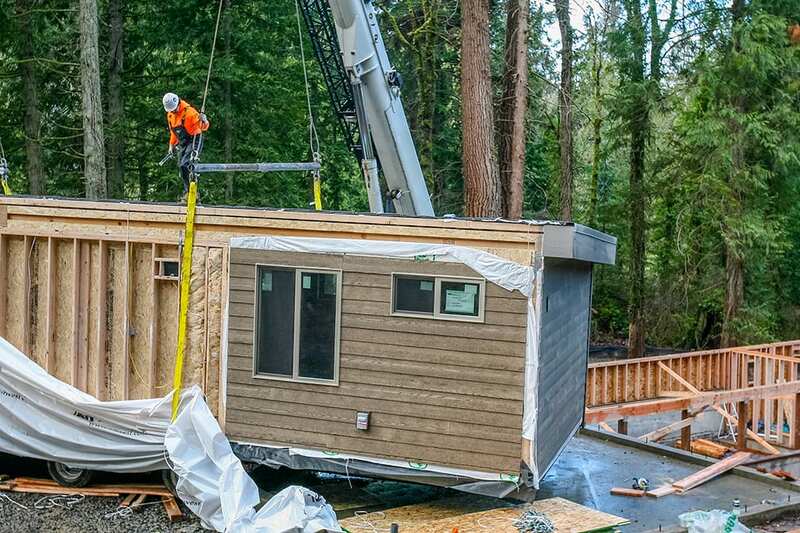 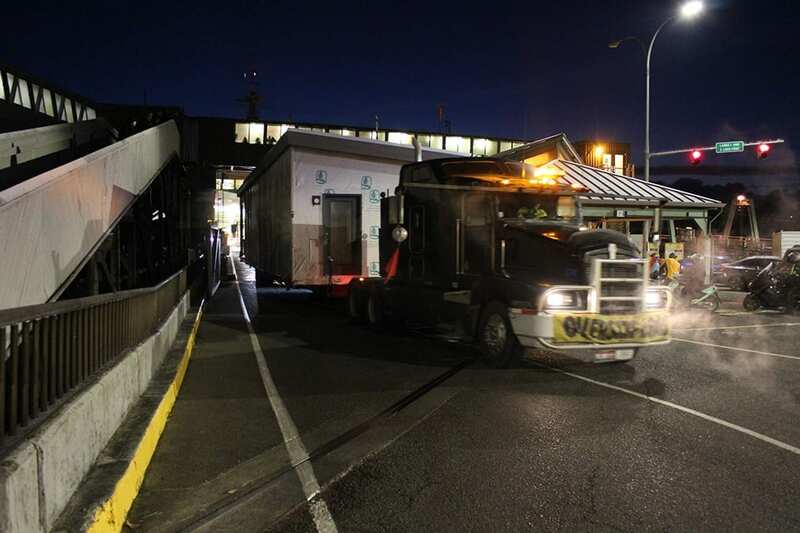 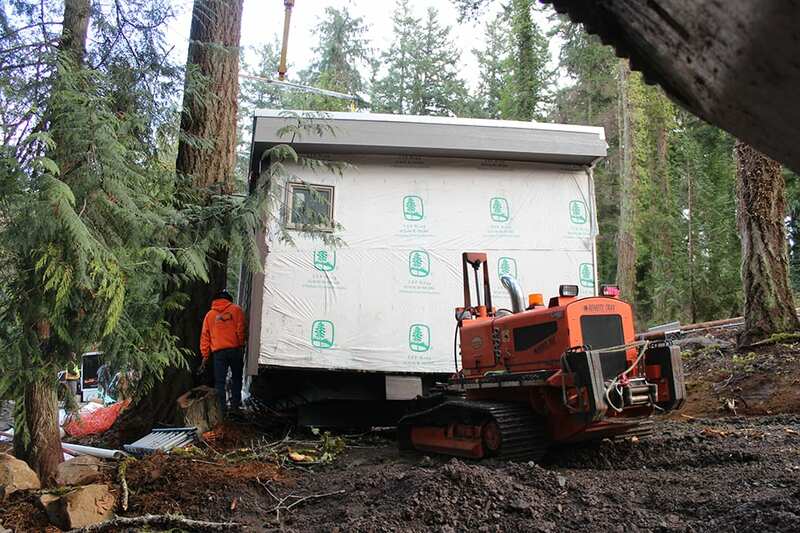 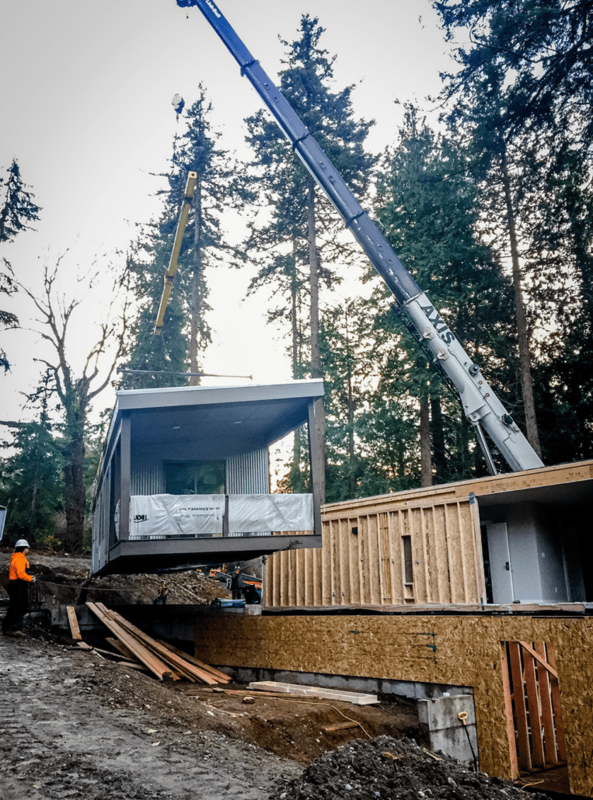 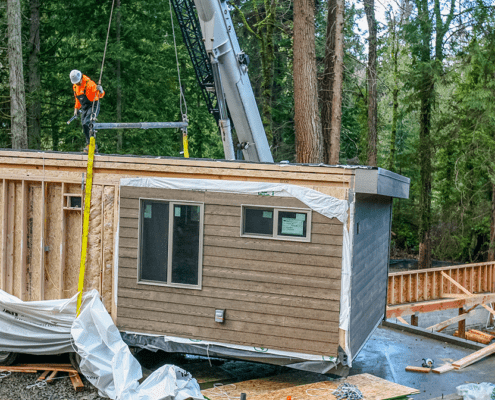 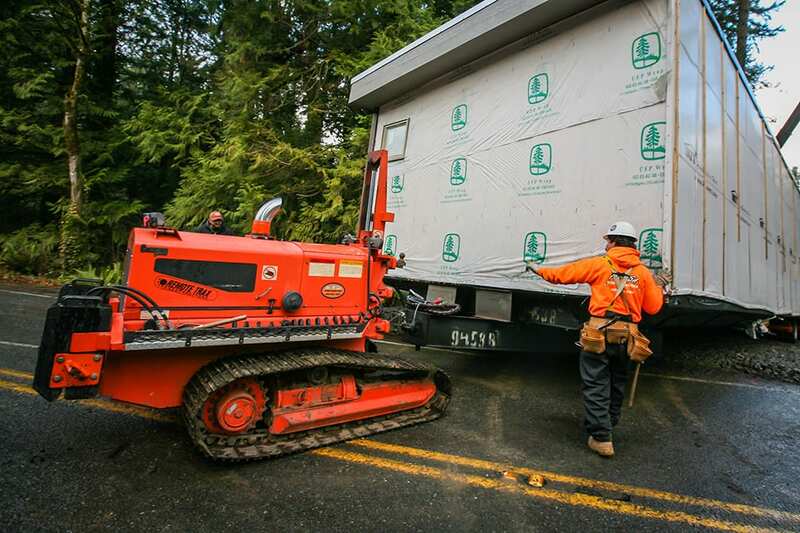 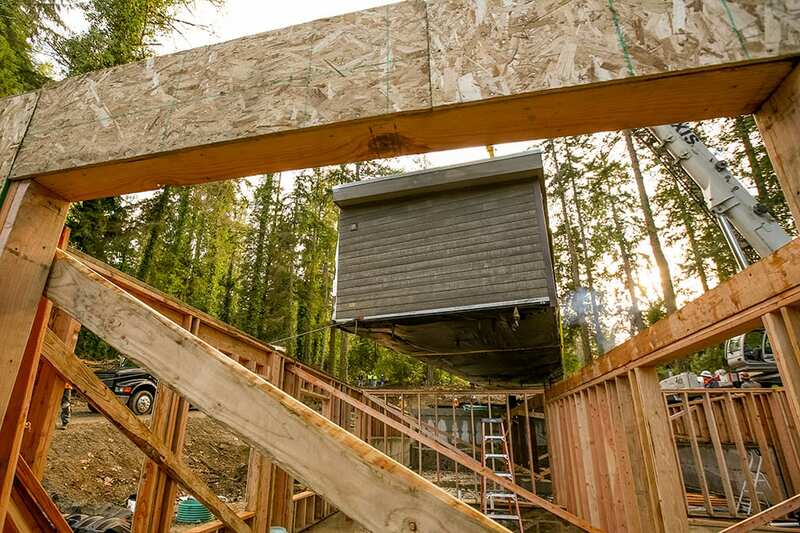 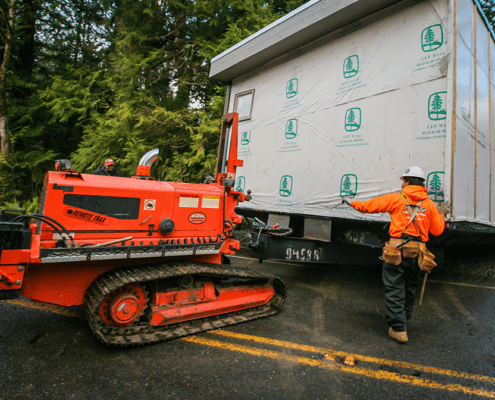 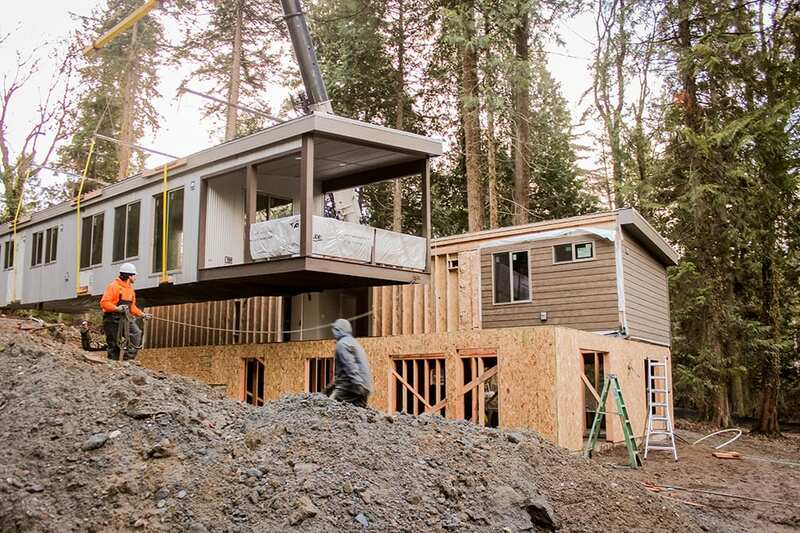 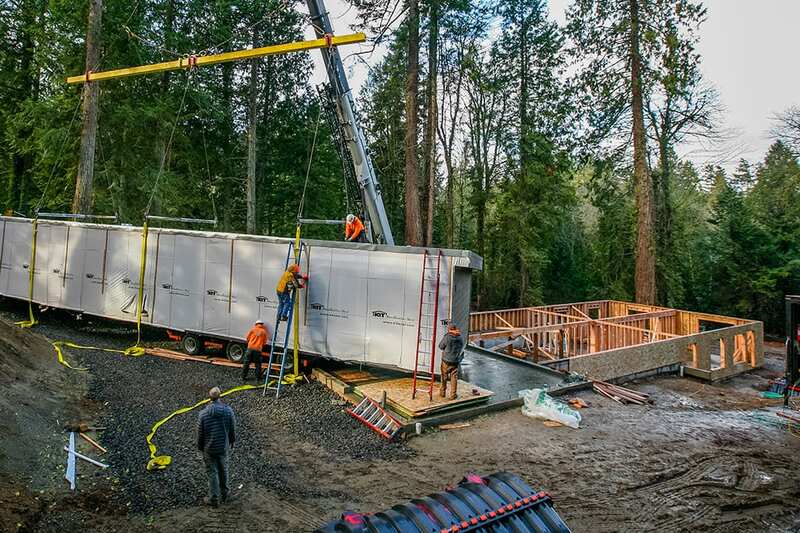 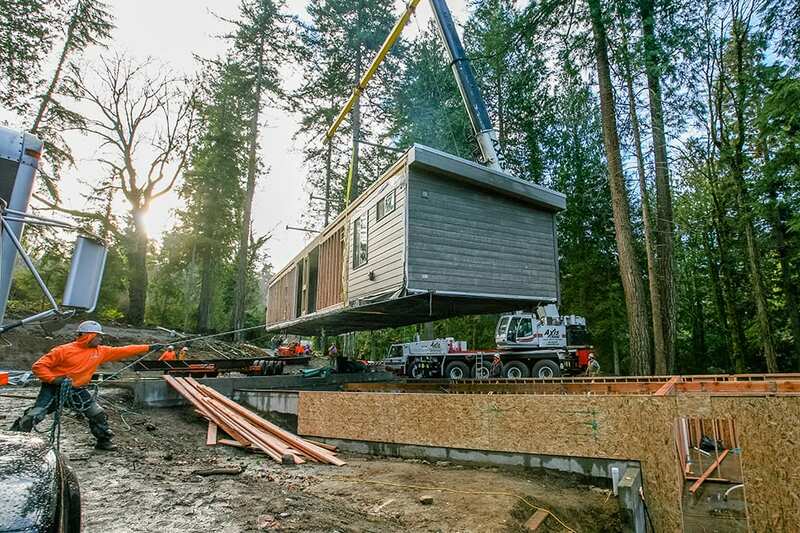 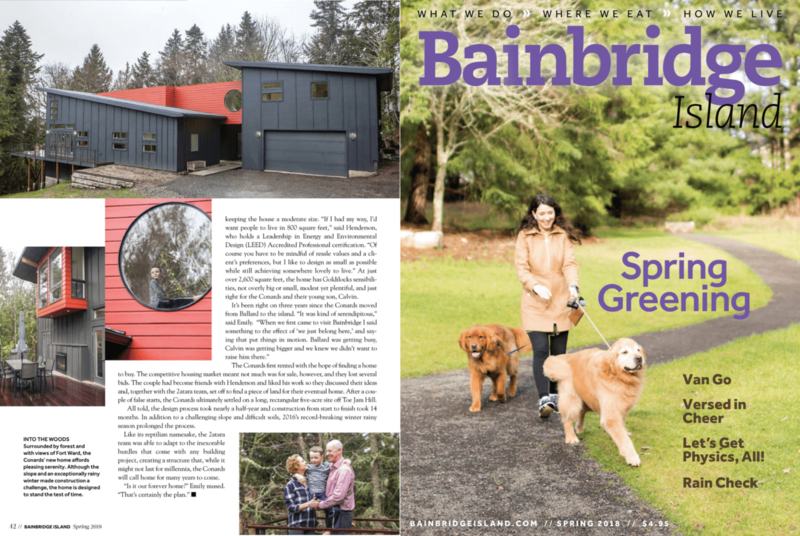 Thank you to the Kitsap Sun for this fantastic article on our modular home. 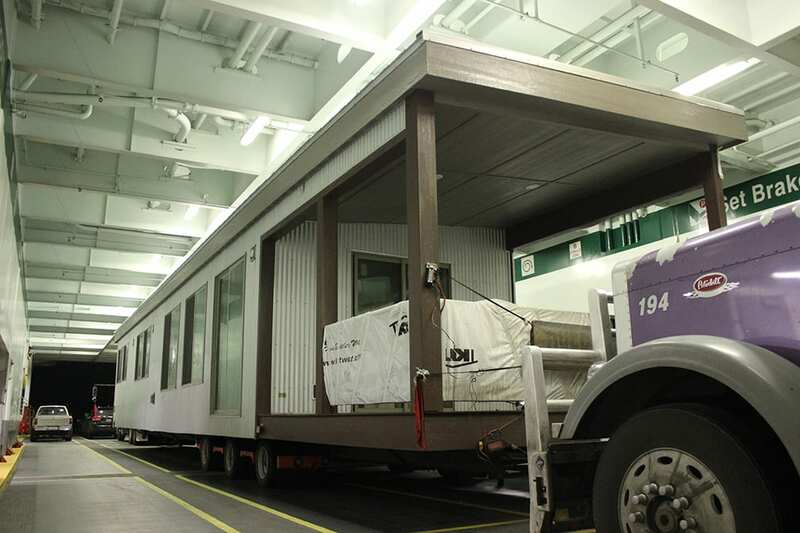 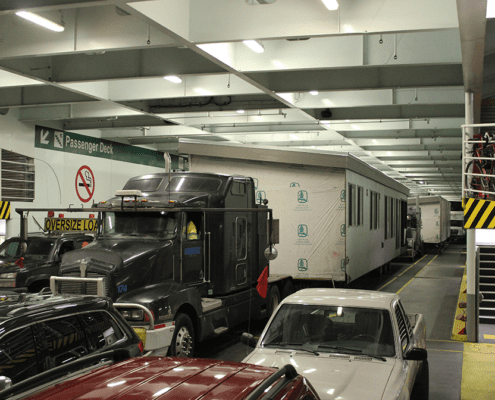 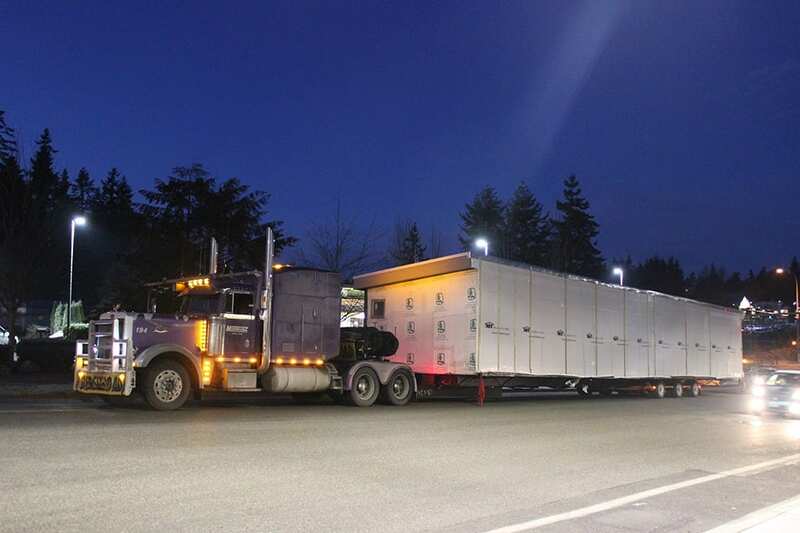 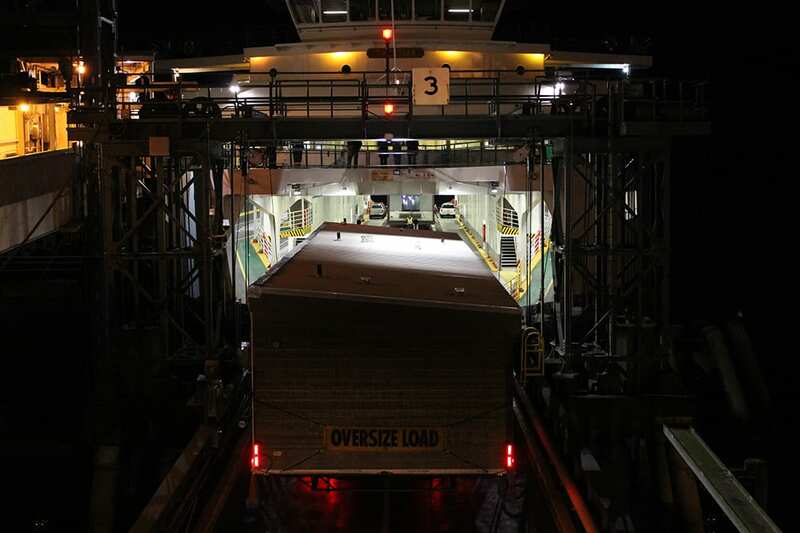 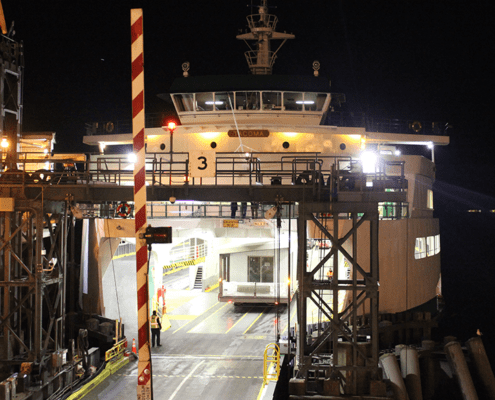 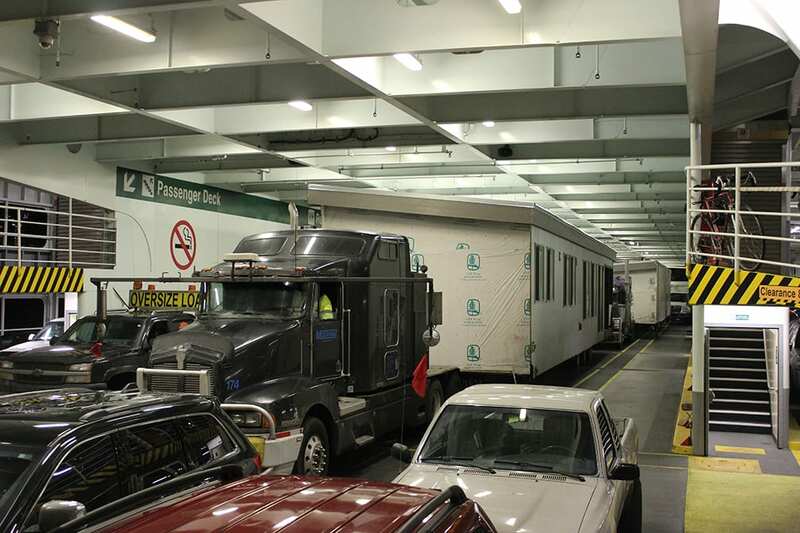 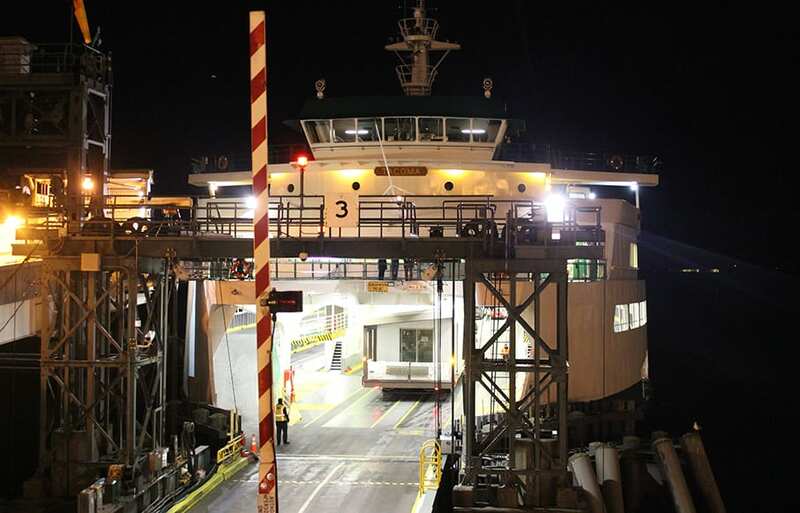 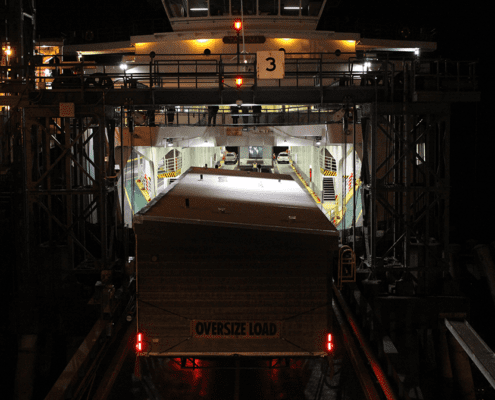 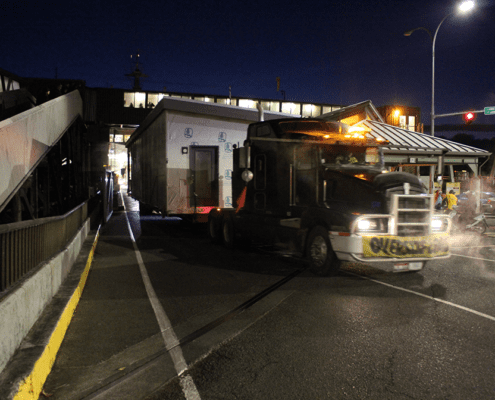 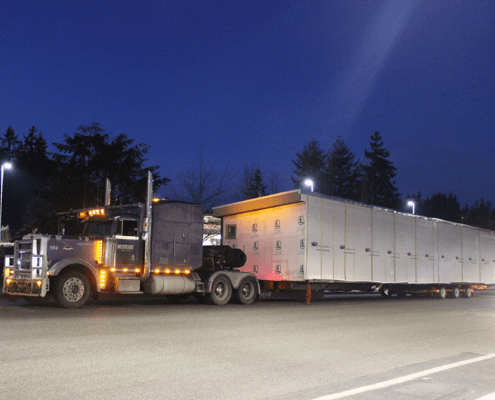 Bright and early on this winter solstice morning, or perhaps more accurately dark and cold, 2atara’s modular home took the 35 minute ferry ride from downtown Seattle to Bainbridge Island. 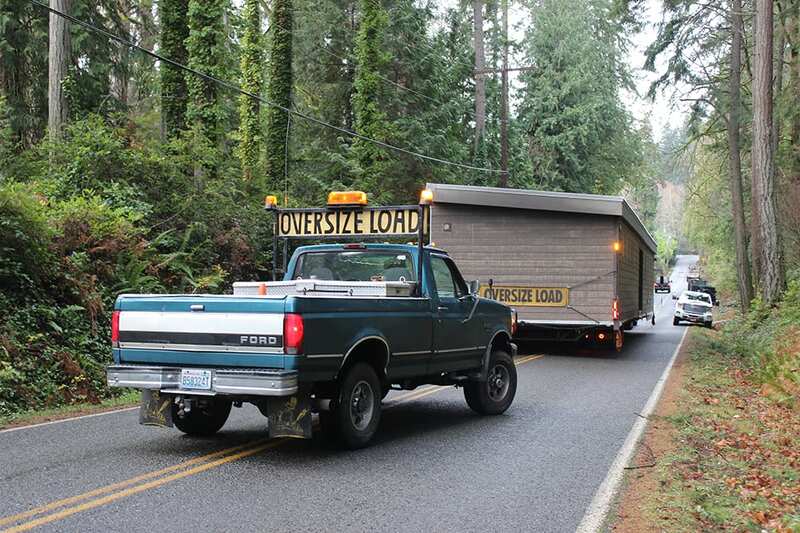 It was a snug fit to be sure. 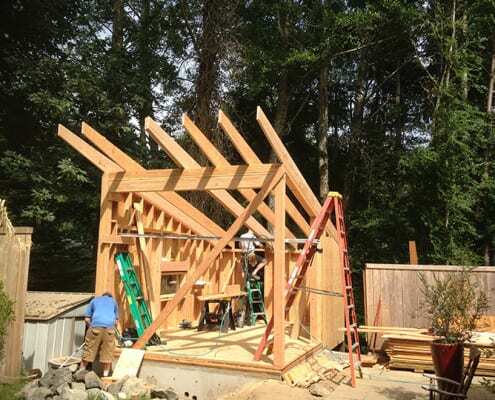 Cranes tomorrow! 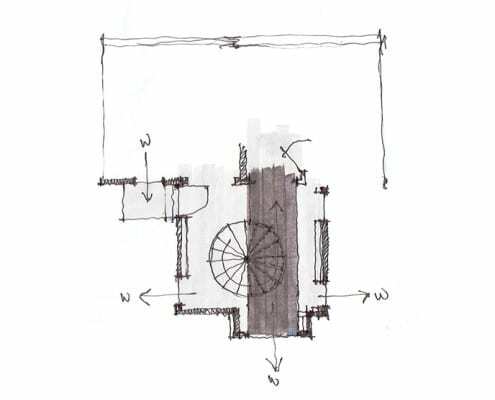 https://2ataradb.com/wp-content/uploads/2013/04/2atara-logo-web.jpg 0 0 2atara https://2ataradb.com/wp-content/uploads/2013/04/2atara-logo-web.jpg 2atara2017-12-21 20:01:082018-05-03 16:32:52Modular Home Excitement Part 2. 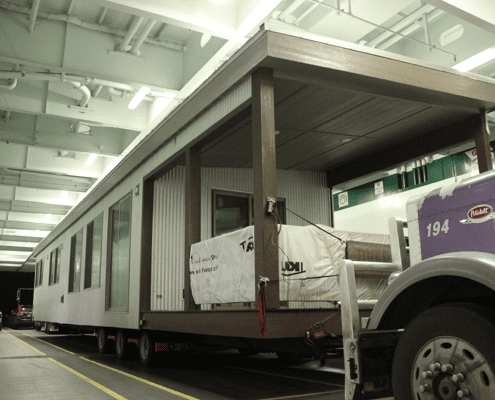 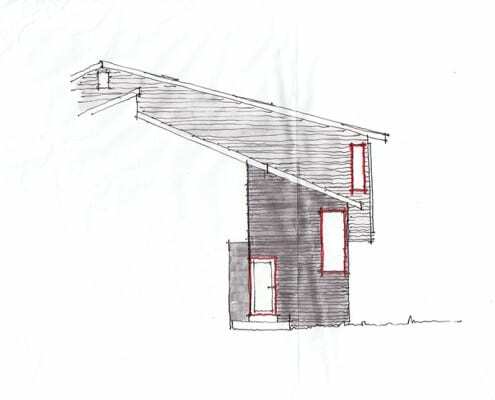 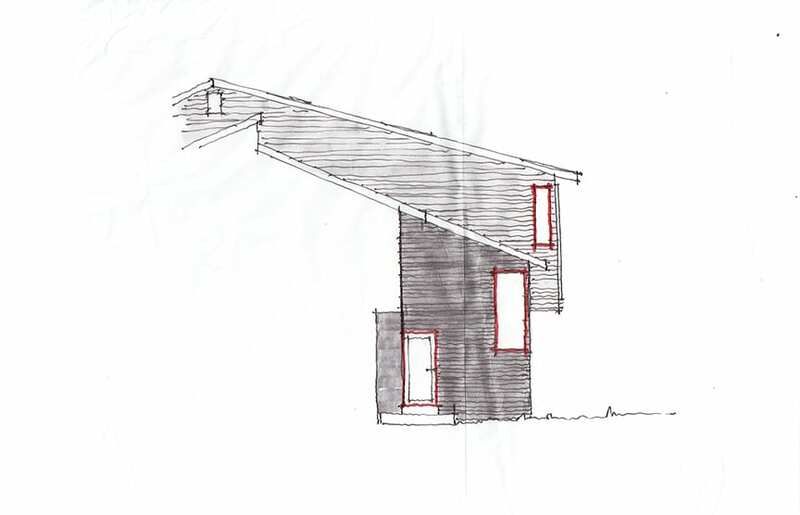 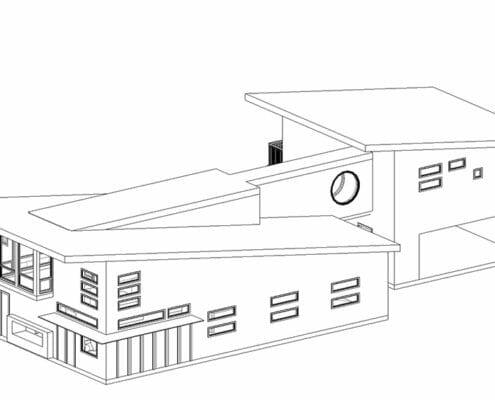 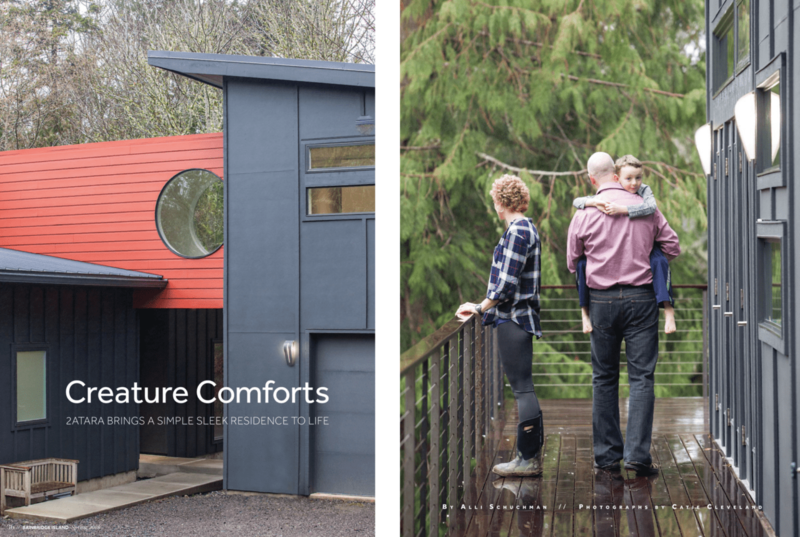 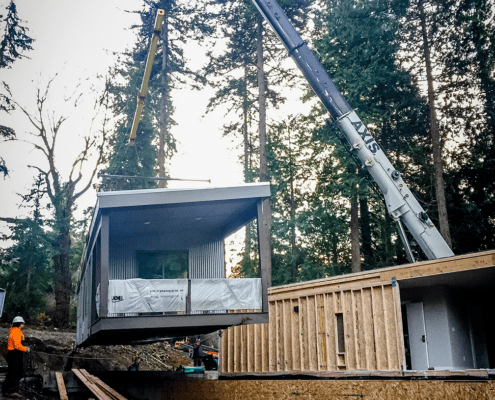 This Thursday morning (December 21st) 2atara Design Build will be bringing a sustainably designed modern modular home (built in Idaho) onto the Island via the Seattle/Bainbridge 5.30am ferry — hope it fits! 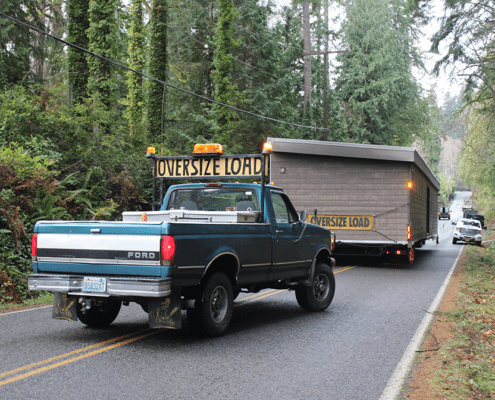 It will be in two massive 70ft pieces that will be craned into place at their new home on Lofgren Road. 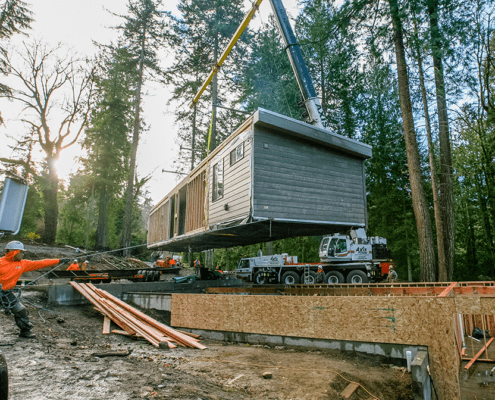 The home being built last month in its facility in Idaho. 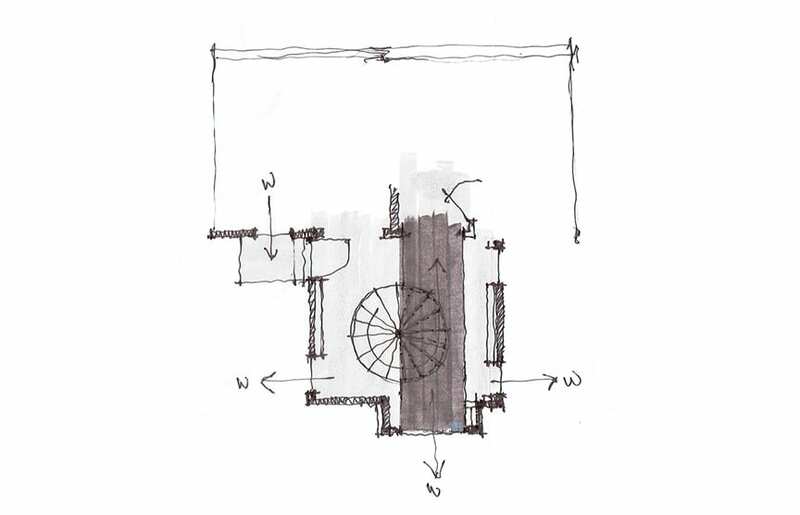 https://2ataradb.com/wp-content/uploads/2013/04/2atara-logo-web.jpg 0 0 2atara https://2ataradb.com/wp-content/uploads/2013/04/2atara-logo-web.jpg 2atara2017-12-20 00:05:142017-12-21 20:04:19Modular Home Excitement! 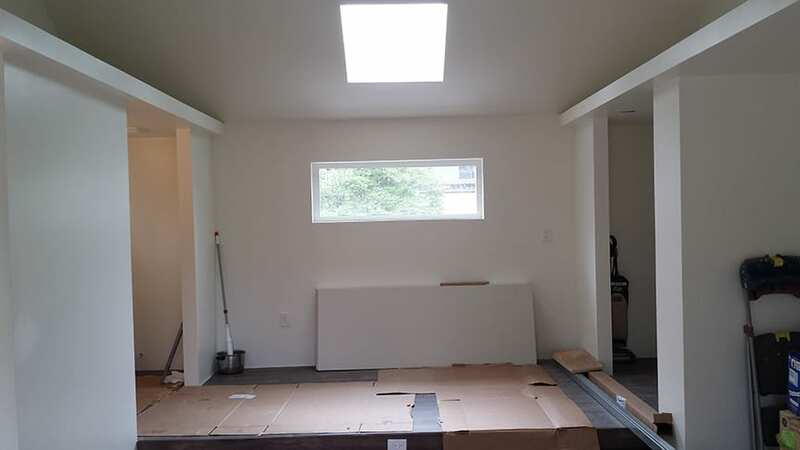 Here we have a space designed to take in the views. 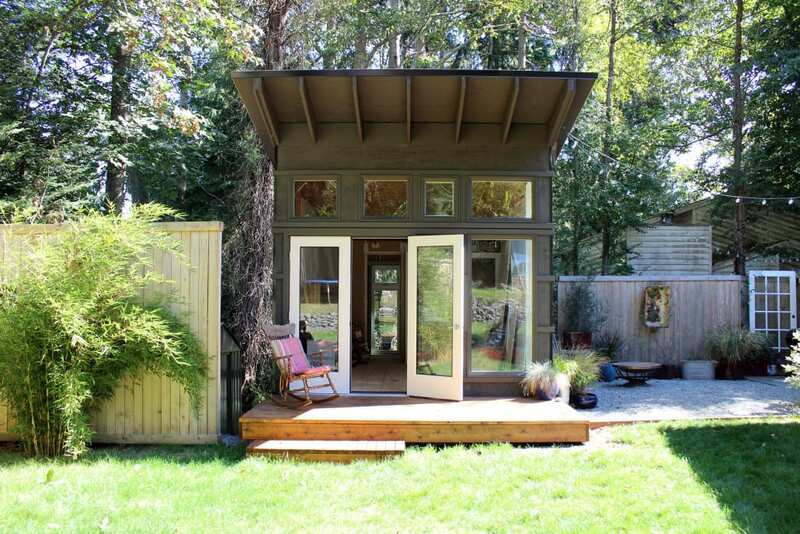 This home stands tall, with a ‘crow’s nest’ perched perfectly at the end of a sky bridge on the upper level. 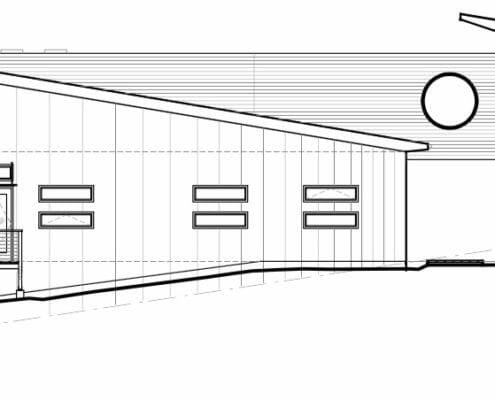 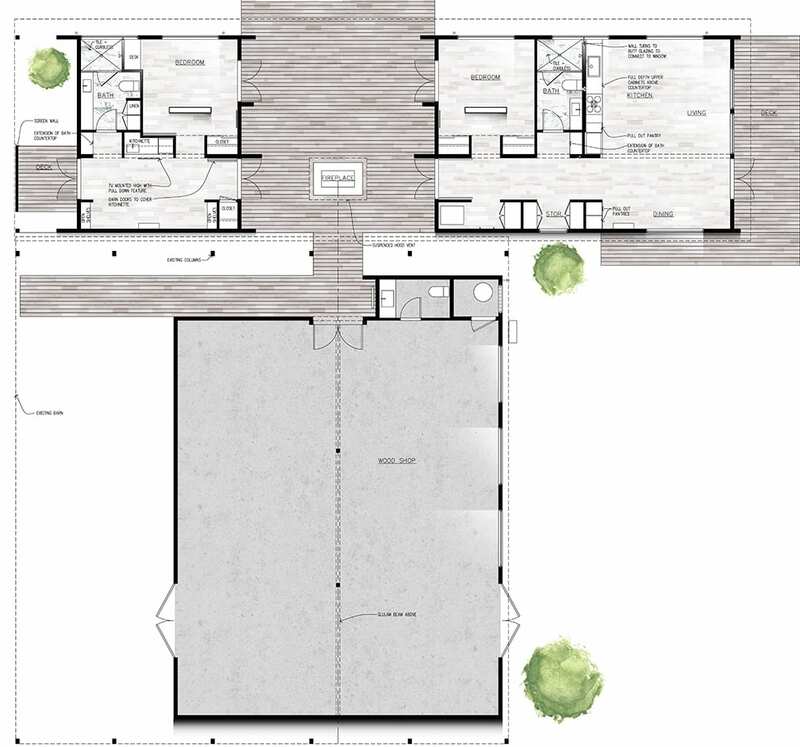 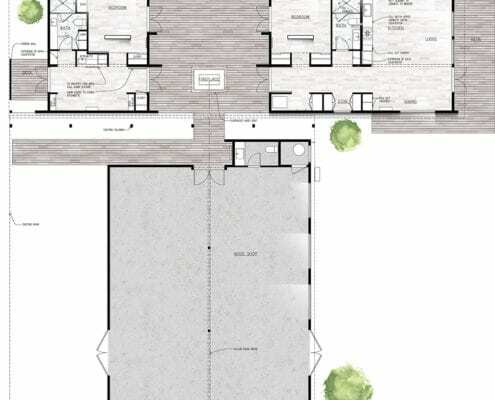 The exterior confirms this is an intriguing solution to joining spaces, allowing the main house and garage levels to feel as one. 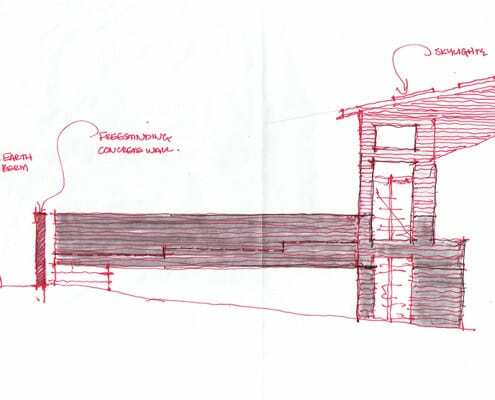 2atara knew of the challenge in working with a complex site on the hillside, though also knew that our design ideas always surpass! 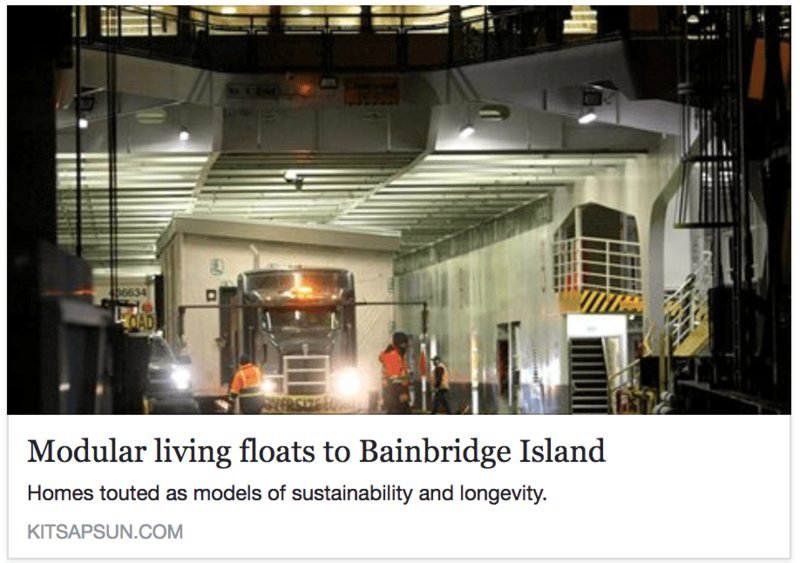 In keeping with our commitment to sustainable design, this project is a showcase for successful execution. 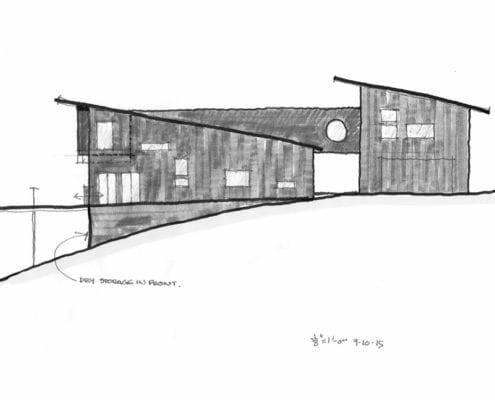 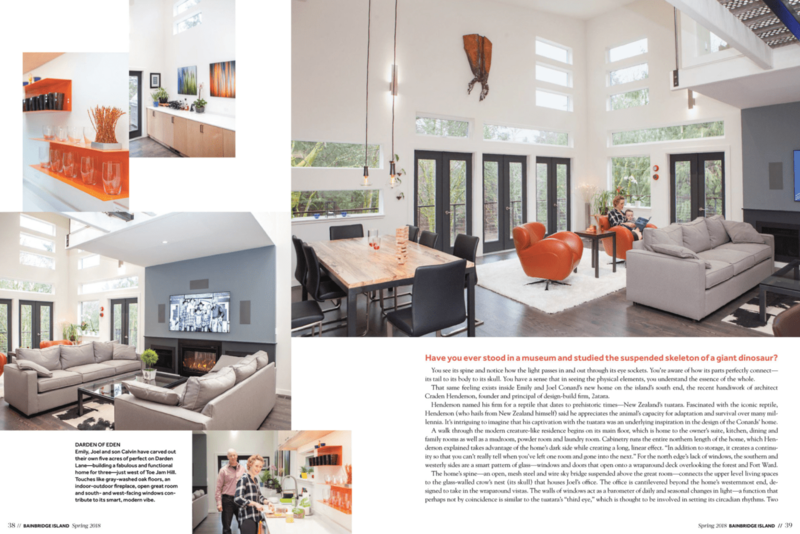 With room to ‘think big’ in the design stage of this acreage site, 2atara worked to keep an existing barn on the land – and to integrate its history into a new and contemporary home. 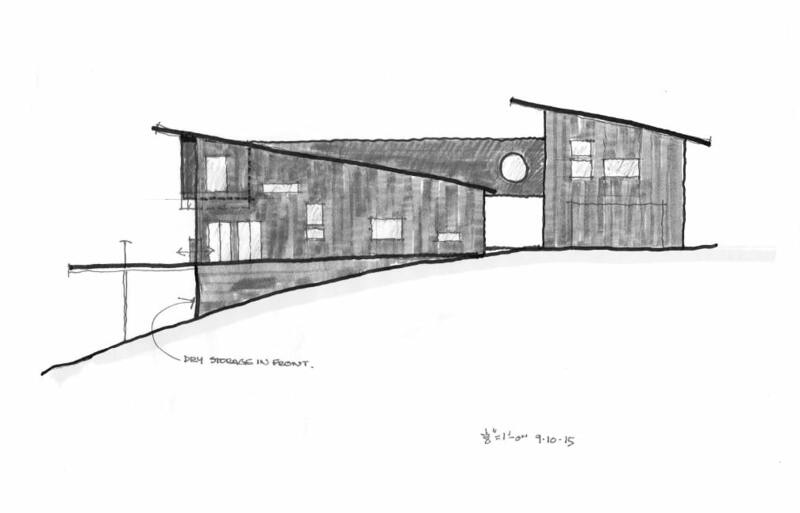 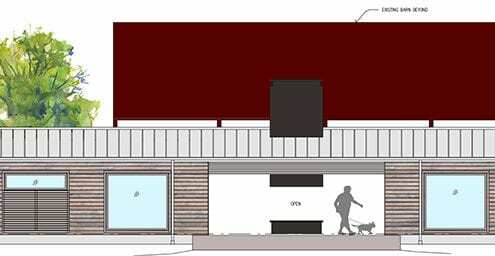 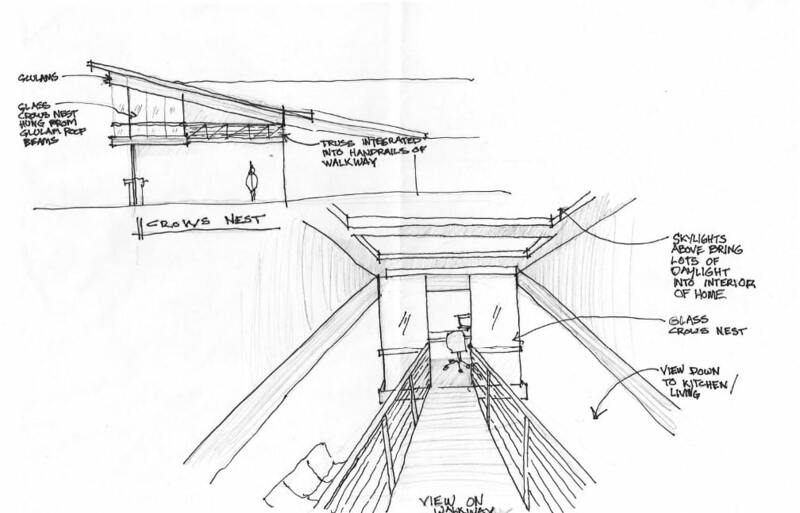 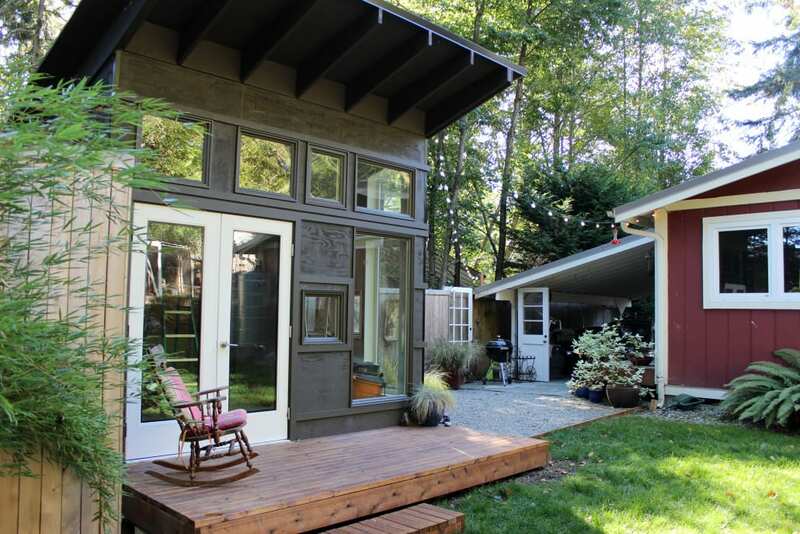 The concept of work and play is finely balanced here, incorporating two small living spaces with one large wood shop. 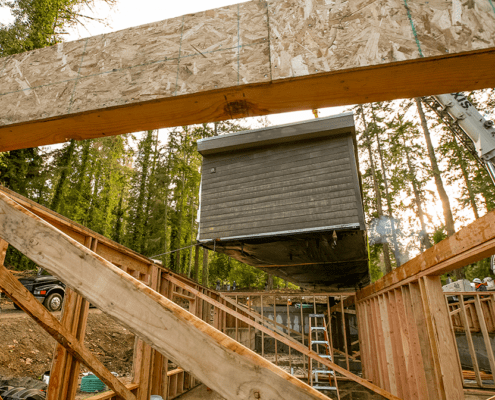 In a place such as this, one is bound to breathe easy – with a surrounding deck, central open fireplace and that old barn to call home. 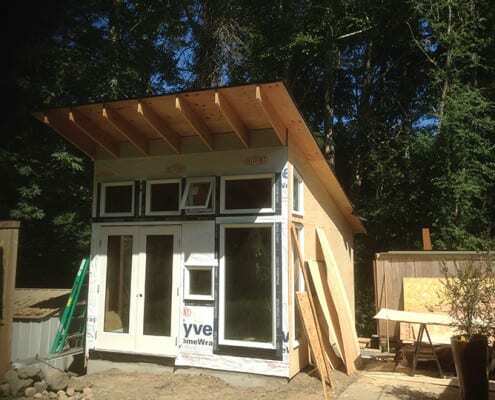 Completed 200 sq. 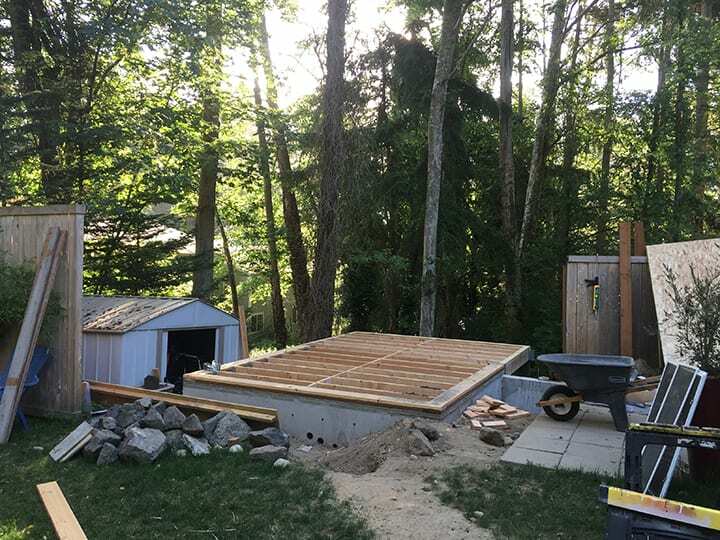 foot studio designed with versatility in mind. 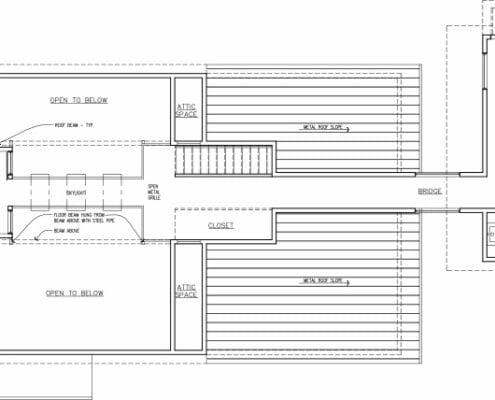 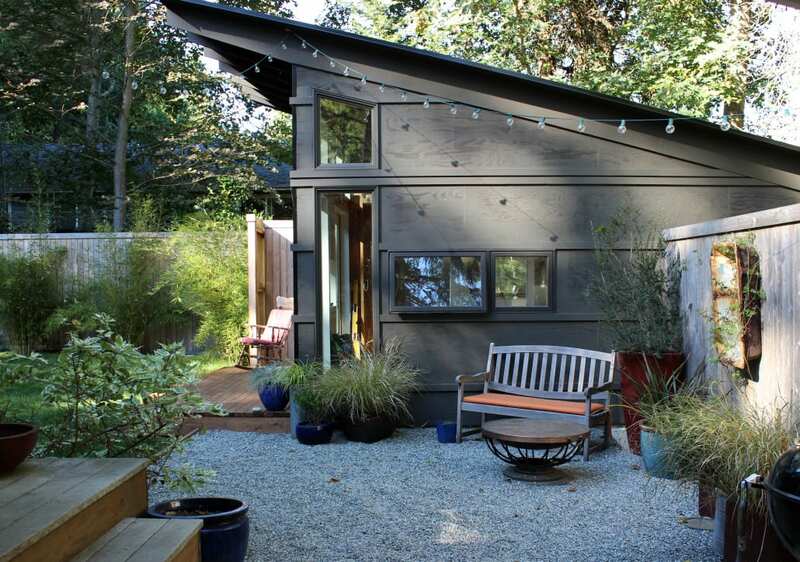 Work and creative space with convertible sleeping arrangements, ample storage and ensuite 3/4 bath. 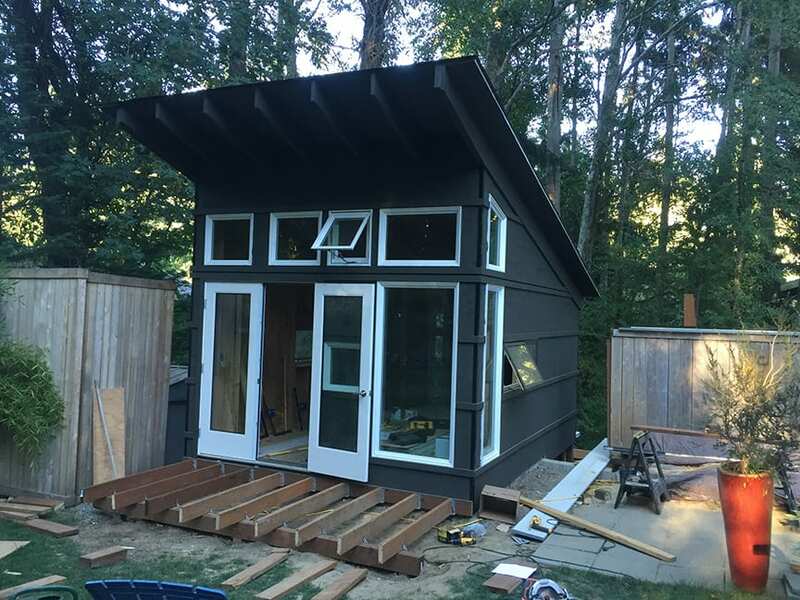 We designed and built this unit to fit a range of needs while creating minimal impact on property coverage and usable yard space. 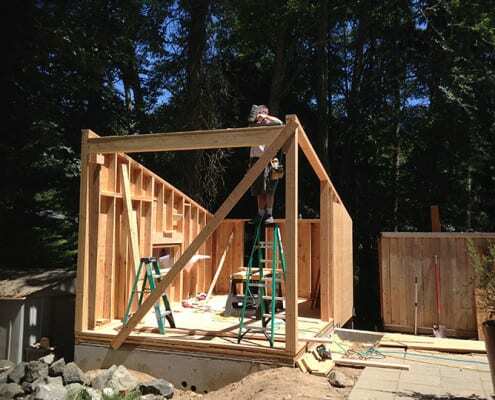 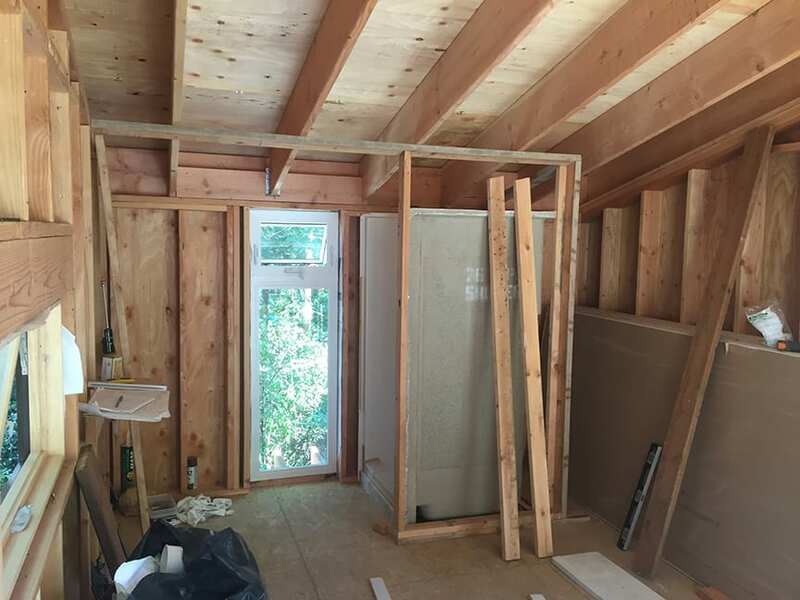 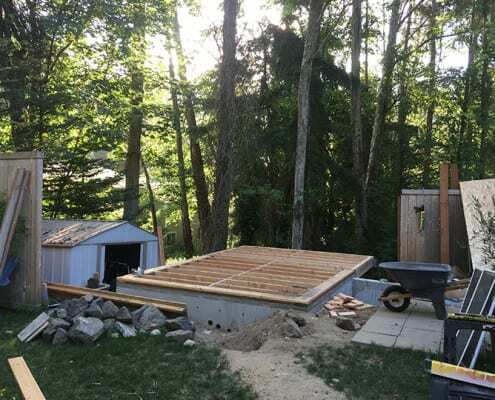 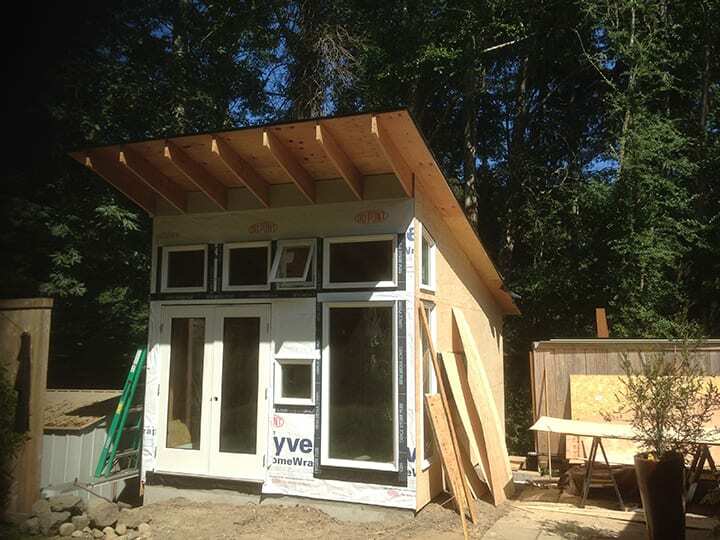 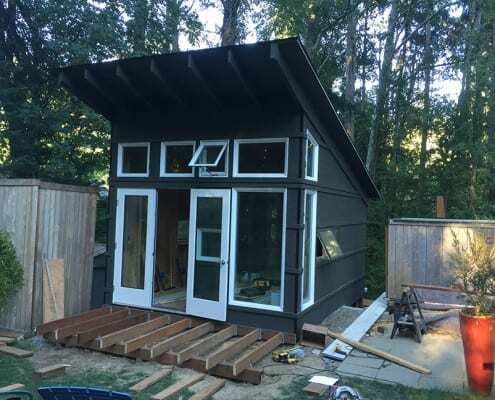 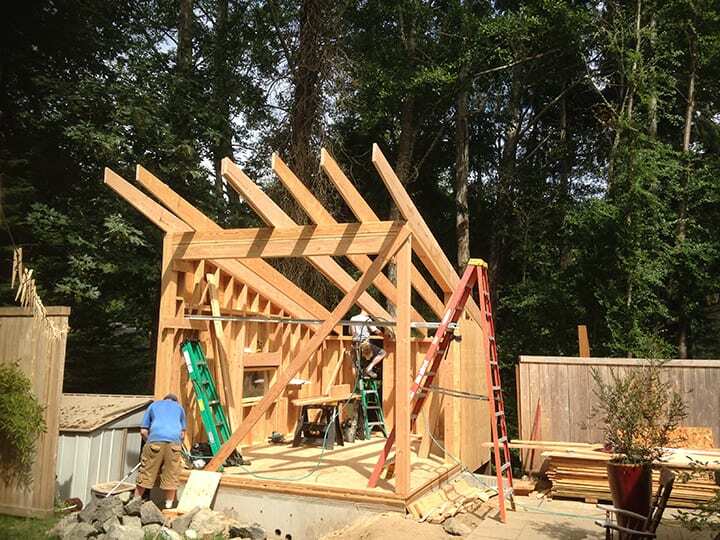 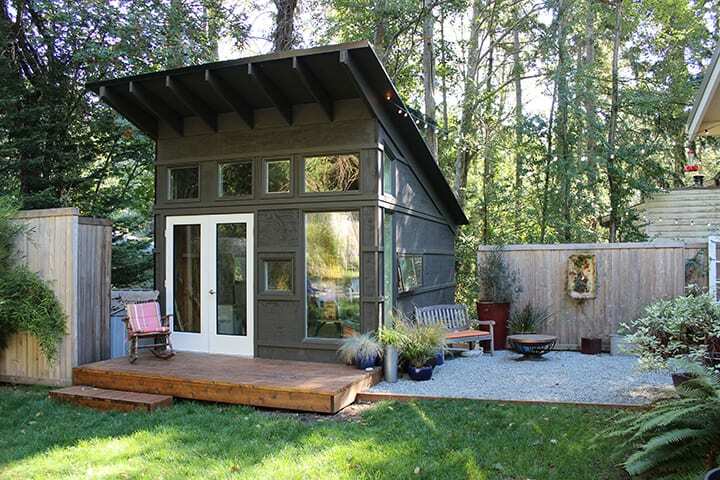 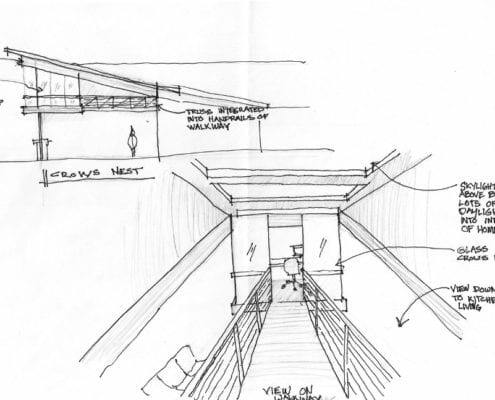 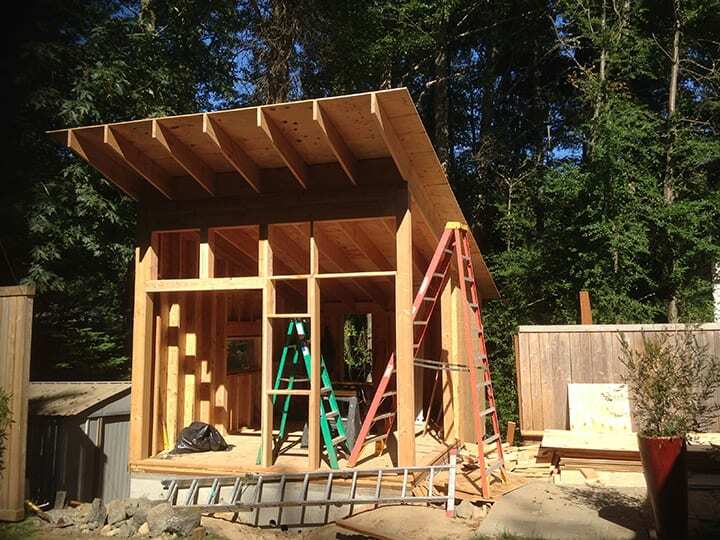 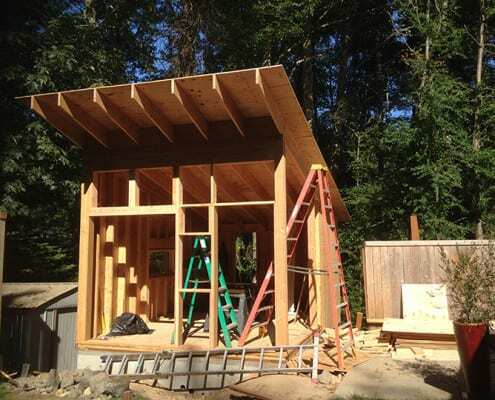 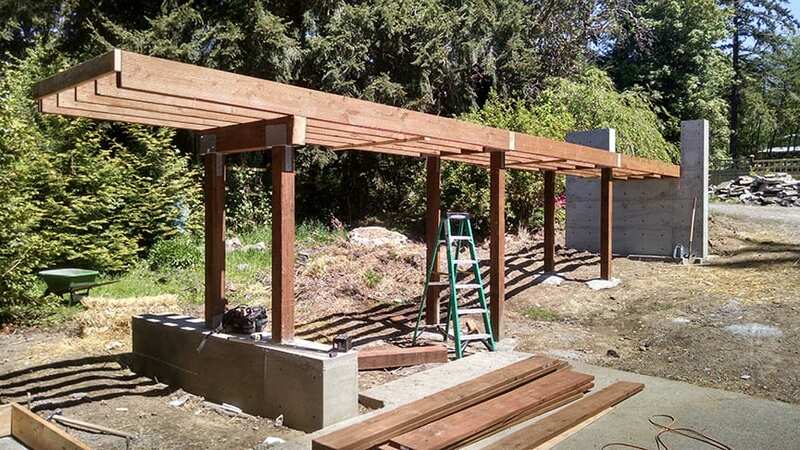 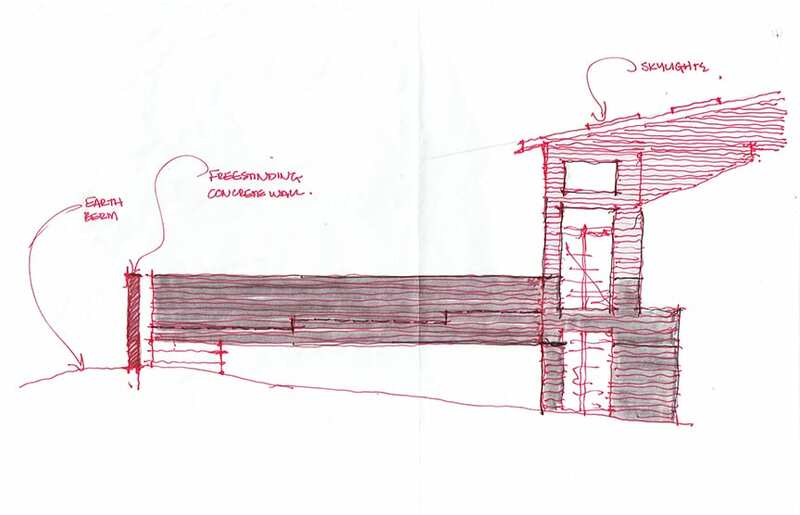 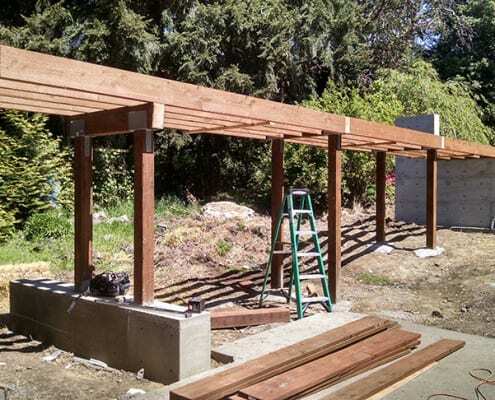 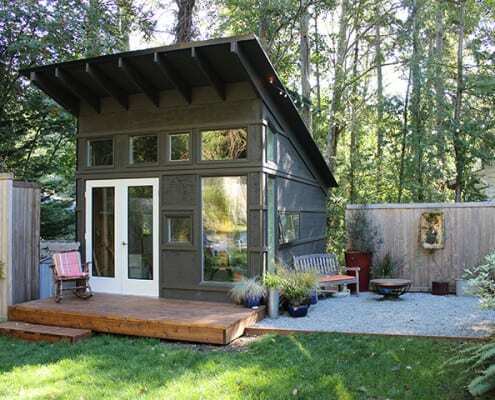 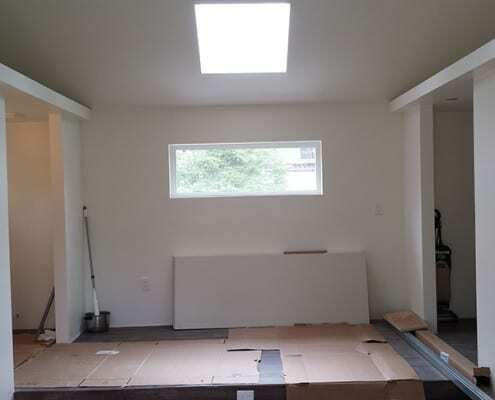 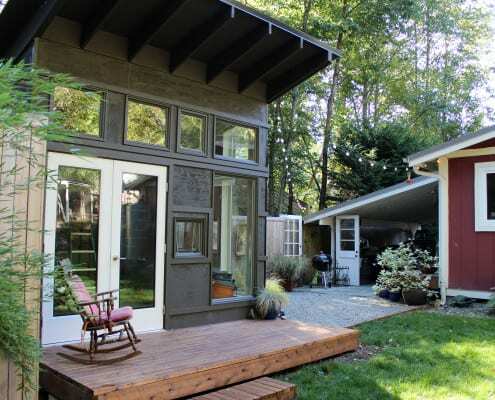 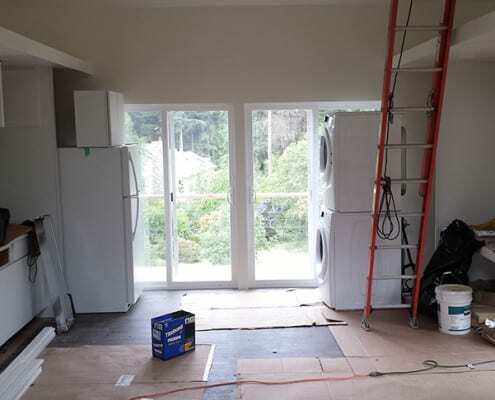 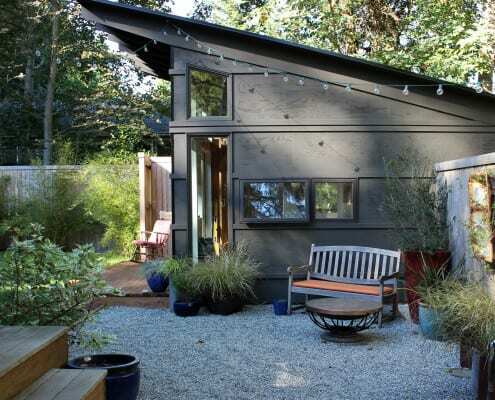 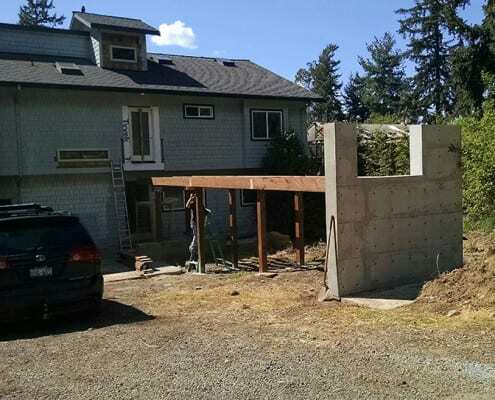 Building the 200 sqft Henderson-Doerr Studio on Bainbridge Island in photos. 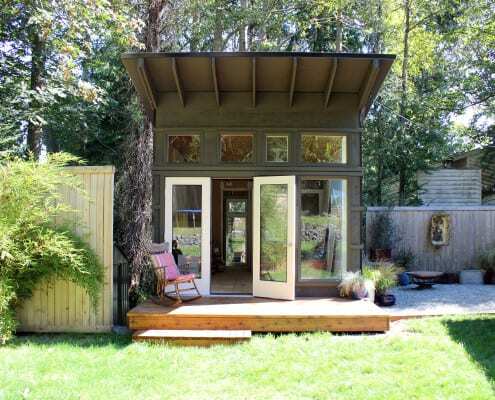 The ultimate above garage studio, this gem will be an absolute dream to occupy. 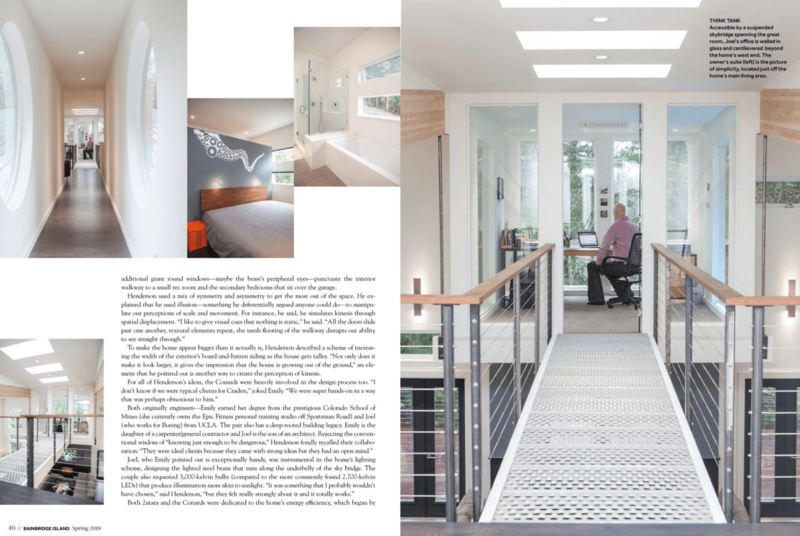 With clever soffit symmetry, moving walls, and raised bed area the room seems many times larger than the documented square footage. 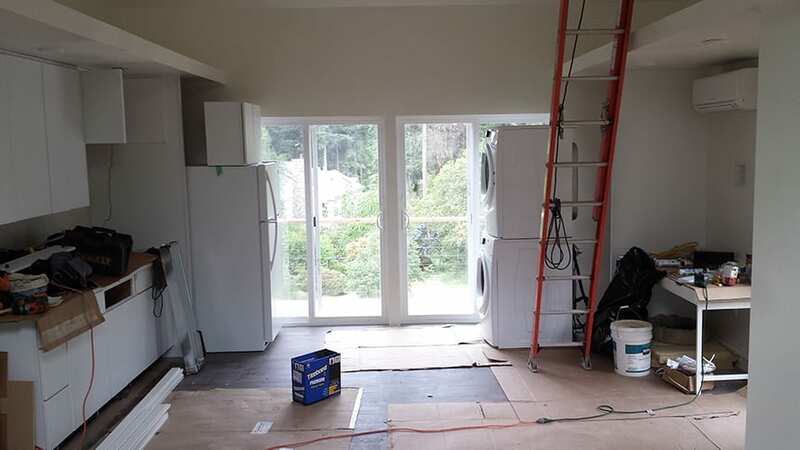 Well insulated and with a mini split heating system the energy bills will be extremely low. 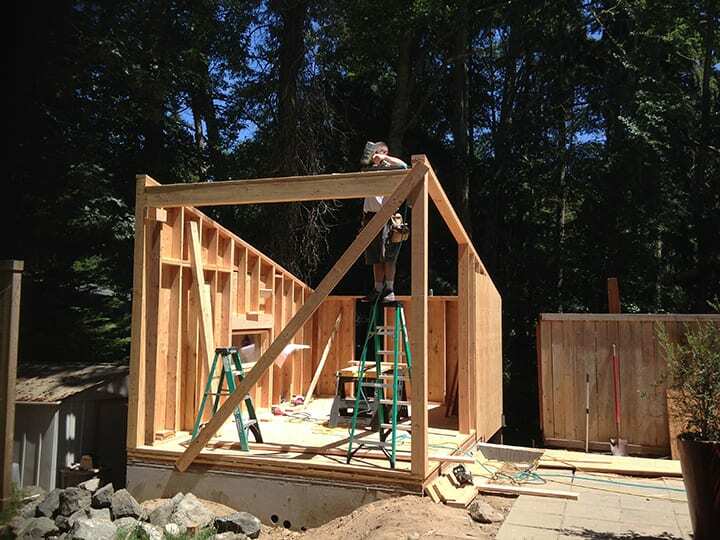 More pictures coming soon! 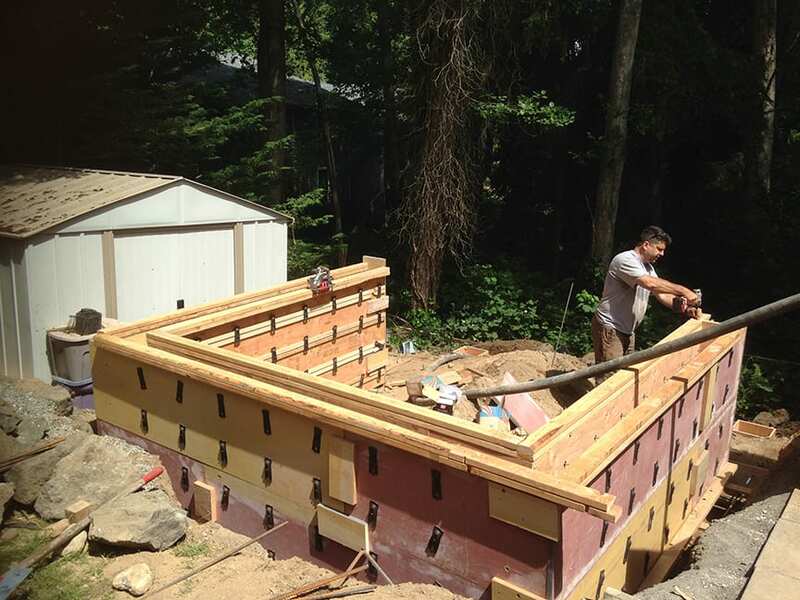 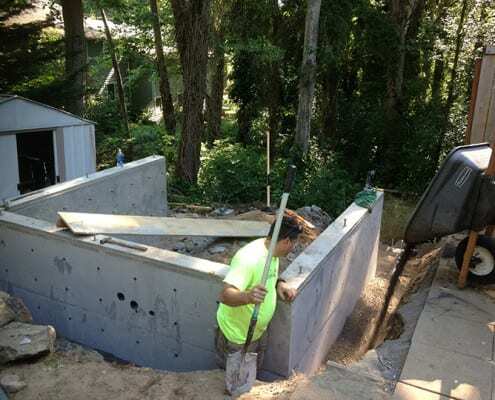 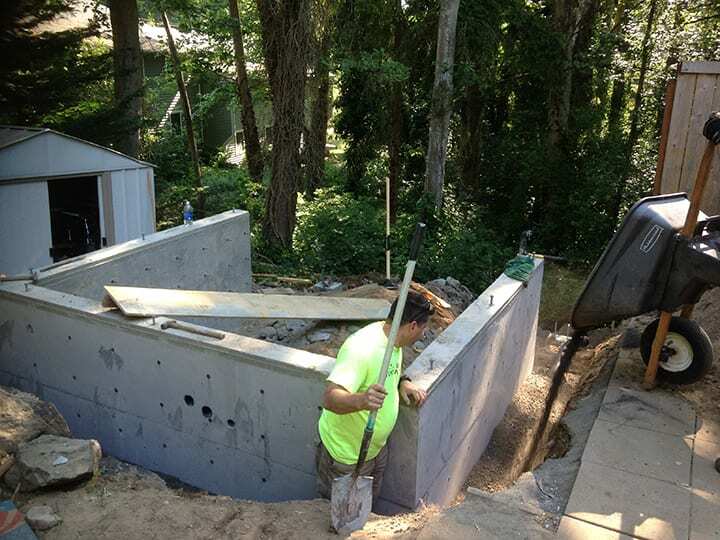 Here is a great example of the type of architectural concrete work we love doing in our Eiler Bridge project. 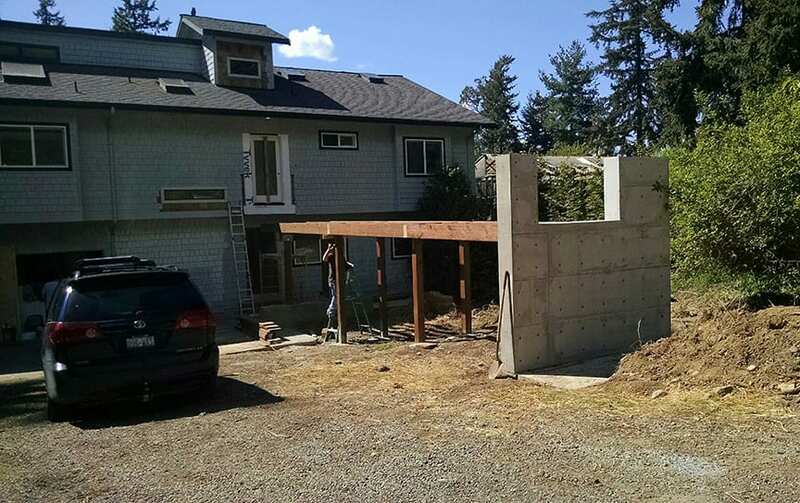 A fun new entrance to this lovely waterfront house will help anchor it to the site. 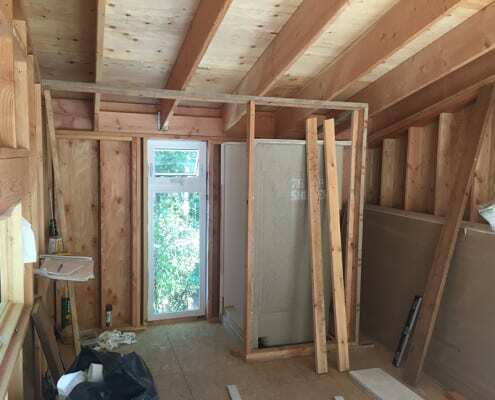 Work underway also includes bathroom remodels and some exciting sleeping lofts for the kids.